Material: Shell fabric: 85% polyester, 10% metal fibre, 5% elastane. Lining: 100% polyester. The perfect party skirt made out of tricot from CHIARA FORTHI. 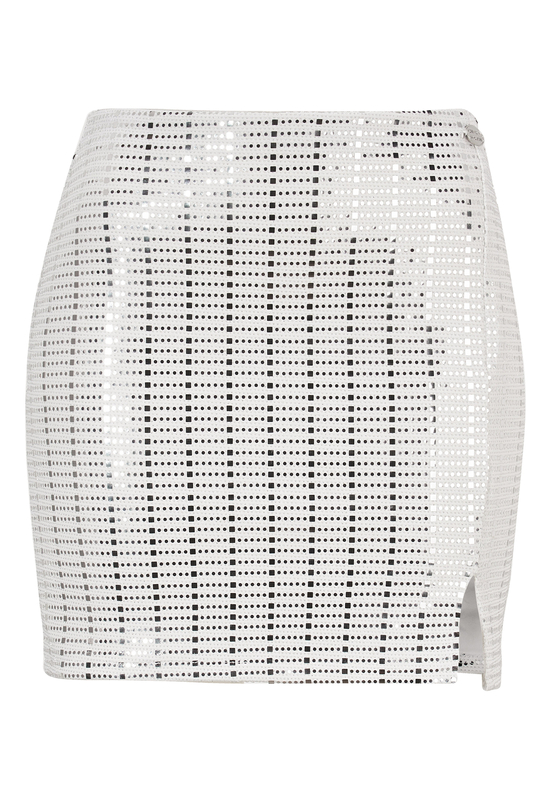 This mini skirt has a tight fit and is completely covered with shiny sequins. - Silver colored metal logo at the front on the waist. Total length of skirt in size S is: 43 cm.